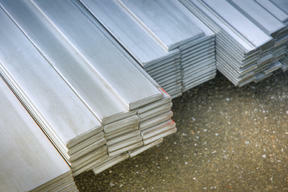 Stainless Steel & Aluminum Delivery in Texas | Texas Alloys & Tool Co. When purchasing materials, delivery time is often the most important factor. By managing our own fleet of trucks, Texas Alloys is able to make sure that your industrial stainless steel & aluminum delivery is there when you need it, while minimizing the risk of damage, which is common with motor freight and third party trucking companies. We offer weekly delivery routes to large parts of north, central and west Texas so that our customers can plan ahead for their jobs. In addition, we have the ability to deliver materials on short notice because we use our own vehicles, allowing us the flexibility to deliver on off schedule days. If you order today, we can get your materials delivered to you within one week. Contact us today for any questions regarding our delivery services.